It’s your easy weekly ALDI meal plan for the week of 2/3/19: Pick up everything on the shopping list below, then start cooking on Sunday! 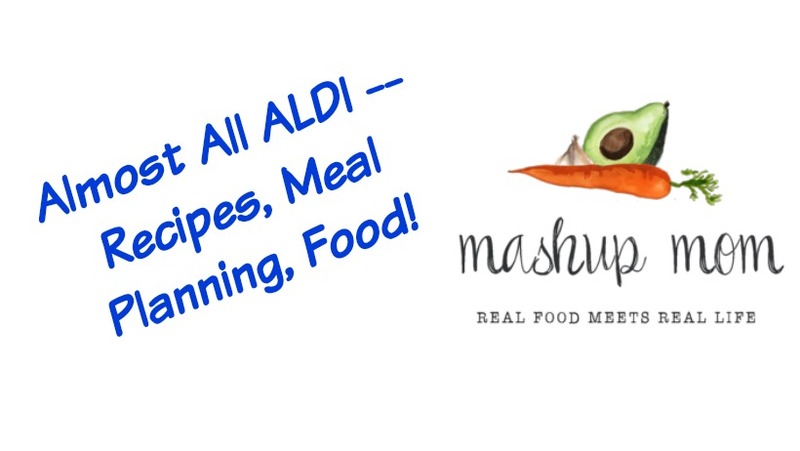 Mashup Mom is TEN YEARS OLD — Let’s give away an ALDI Gift Card and Launch a New Site! Note: This week is heavier on ground beef because the large 5 lb pack is on sale for the Big Game Sunday. 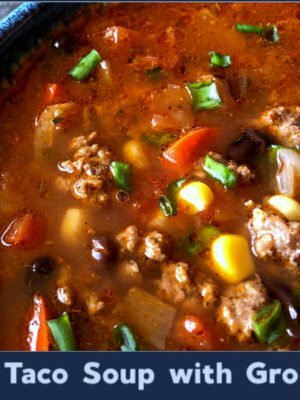 If you don’t like to eat this much in one week; package and freeze some of it in 1 lb increments and substitute one of your own favorite recipes that evening. Sunday: Yogurt marinated chicken drumsticks. Serve these with red lentil “mashed potatoes” (be sure to add ALL the optional additions) and simple sauteed spinach. Monday: Slow cooker vegetarian chickpea lentil stew, served over cooked rice with lemon roasted cauliflower on the side (halve recipe; reserve the other half of the cauliflower for Friday). Tuesday: Easy beef enchilada pie (use 1.5 lbs ground beef). Serve topped with a little Greek yogurt (substituting for sour cream here) & green onions, along with lazy almost guac (mash up two avocados with a little lemon juice & sea salt to taste), and have a side salad made with half of the romaine & topped with half a cucumber, peeled & chopped, and a chopped Roma tomato. 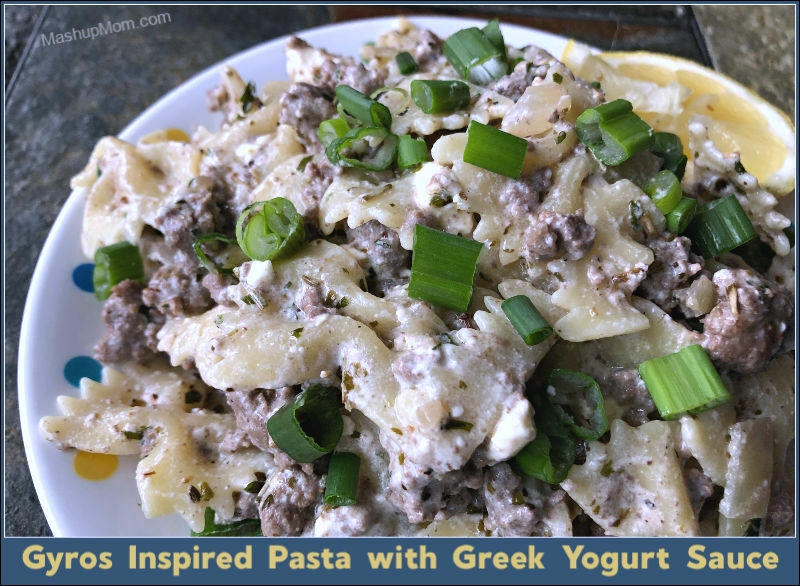 Wednesday: Gyros inspired pasta with Greek yogurt sauce (use 1.25 lbs ground beef to account for more shrinkage with higher fat content; top with green onions). Serve with salad made with the other half of the romaine, & topped with the rest of the cucumber & another chopped tomato, plus the baguette (you can mix a little olive oil with minced garlic, Italian seasoning, and crushed red pepper to taste if you want to dip this in). Thursday: Hamburgers (use 2.25 lbs ground beef) served on buns & topped with shredded cheddar, a couple sliced tomatoes, & sliced onion. On the side, potato chips and pineapple slices. Friday: Curried chicken skillet with cauliflower and rice. Serve with tomato cucumber salad (use 4 Roma tomatoes because they’re smaller, reduce onion & add a little olive oil if desired; see recipe comments). 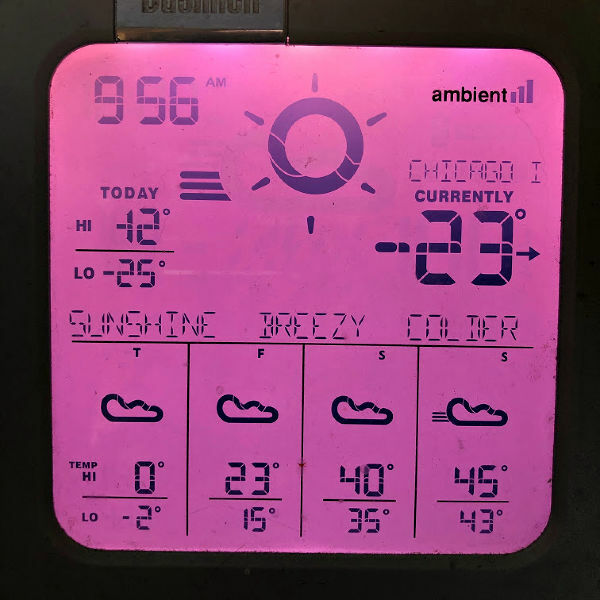 So I didn’t actually go to ALDI today to check prices, but instead used the latest prices I had for anything non-advertised — I figured negative 23 degrees without windchill in Chicago today was a pretty good excuse. 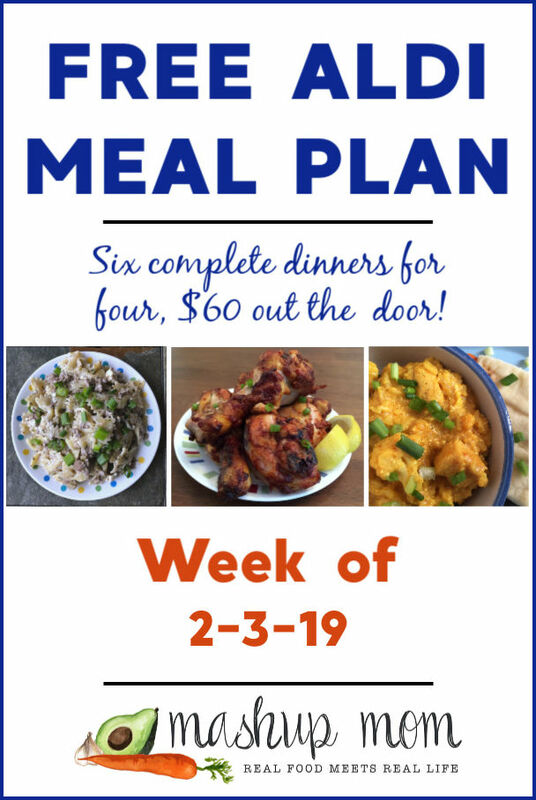 This week’s ALDI meal plan reflects prices from the current week’s ad (running 1/27-2/2 in Sunday ad markets, and 1/30-2/5 in Wednesday ad markets). Non-advertised prices were not collected on 1/30/19 at my local store in the Chicago suburbs, but non-advertised prices and produce deals *may vary* by location & region. In either ad market, shop any time through Saturday and start cooking on Sunday 2/3/19. I am so thankful for stumbling across your site. 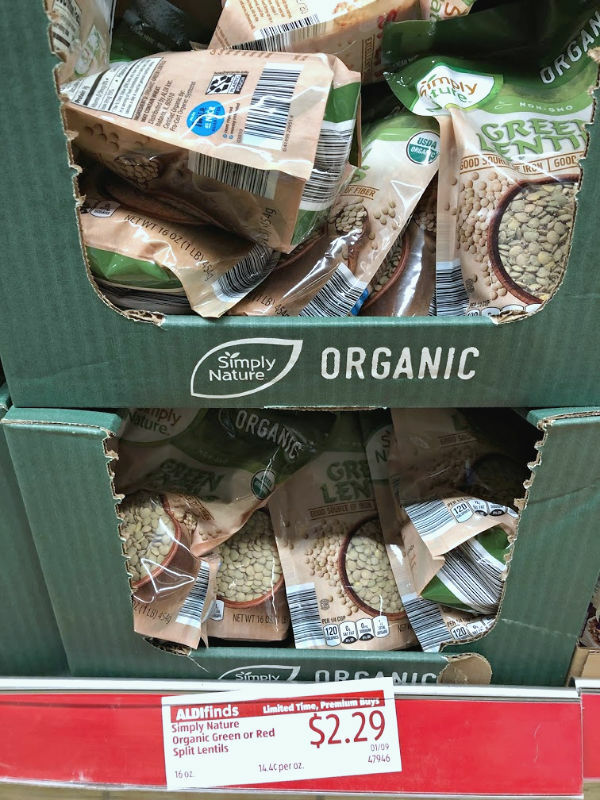 I’m new to Aldi shopping and trying to tighten down my budget because we are in the adoption process which is quite expensive. 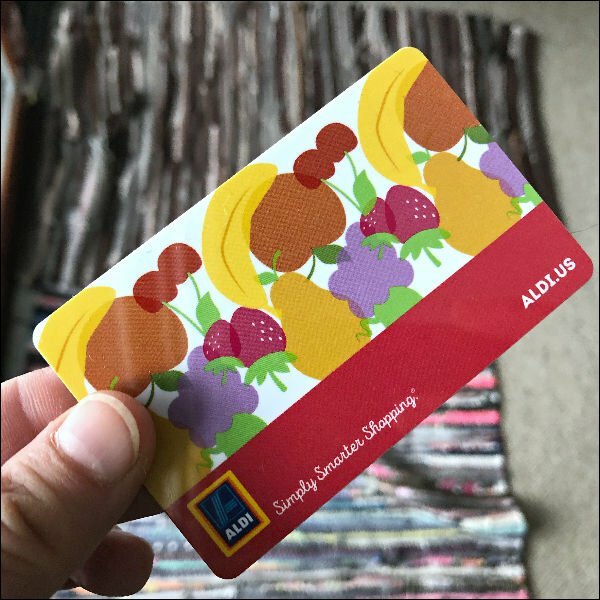 I knew I had to do something to cut back on groceries as we try to save, and I googled Aldi shopping because honestly, it was intimating to me. You’ve inspired me and for the last two weeks, I started shopping at Aldi. 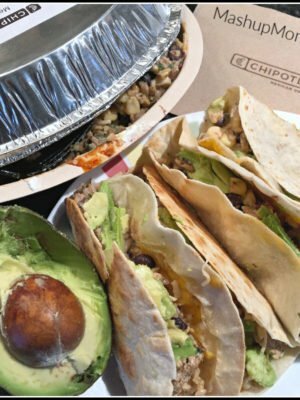 I’m amazed at how much money I’ve saved, and your recipes are great! I just visited the Almost All Aldi site, and it looks awesome. One thing I would appreciate is maybe as it moves along, highlighting recipes that are gluten free. Or other allergy friendly information. But it looks great, and I will be a frequent visitor. Thanks so much!! Oh I didn’t see that. Excellent!! Hi Everyone, Congrats Rachel on turning ten. I thought we were cold in the South. I am using this time to learn how to make foods that are not in my comfort zone. Yesterday was an easy Naan Bread and White Sandwich Bread, it’s due to new peanut allergies. I have stayed away from those things out of fear Lol. My white bread looked like cookie monster from sesame street but it tasted good. Stay warm everyone and have a wonderful blessed weekend. Well congratulations on 10 years at least, I thought you said something about a birthday but then I couldnt find it- ha! My fam has been using your weekly Aldi dinner plans for the last 6 months and we have thoroughly enjoyed it. 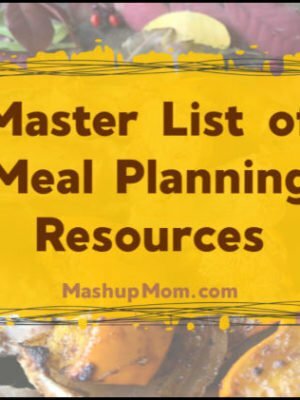 The menu and grocery list makes our busy lives simpler and the recipes are consistently delish! Also, we’ve saved a lot of cash in our grocery budget. So, just want to say thank you so much for the work you do! I love the Aldi Finds section! We always save the “fun aisle,” as my daughter calls it, for last when we go to Aldi. I really enjoy your meal plans, they always give me great inspiration, even if I don’t stick to them exactly! Congratulations on 10 years! Happy Birthday!!! I remember when you first started and my daughter was born a few months later. She’ll be ten as well this year. I really miss the old site but I love your transition. 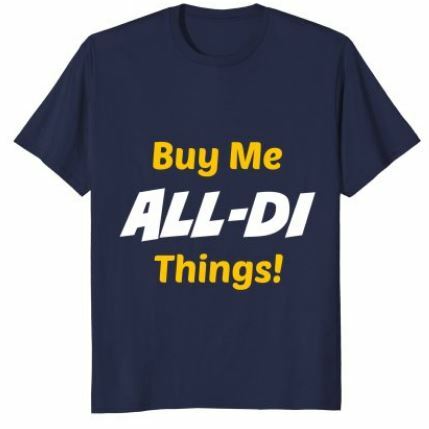 ALDI has been our go to store for over 40 years and when many high Enders didn’t want to shop there. They have really evolved. I tried the Greek pasta recipe… it was great! I will confess that I cheated a little. I bought a tub of the cucumber dill tzatziki “dip” that was on special this week and used that for the sauce. It was a little faster and fool proof! 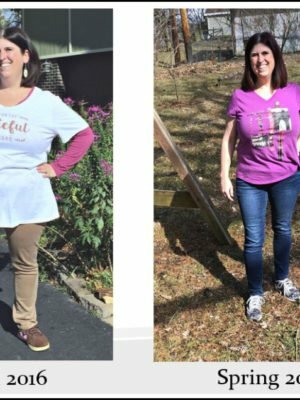 Just found your site about a month ago and wanted to say, THANK YOU!!! This had made life so much easier!!! !